The foundation of Bullard's head protection product line is a selection of classically styled models. Designed with a wide profile and brim, Classic hats and caps enhance ventilation and provide increased protection from the sun and greater comfort for outdoor workers. All Classic hard hats and caps are made from high-density polyethylene and come equipped with Bullard's 6-point self-sizing or Sure-LockÃ?Â® ratchet suspensions system. Both suspension systems allow for a truly customized fit with 1" wide nylon straps, vertical adjustment keys and an absorbent Sportek" brow pad. 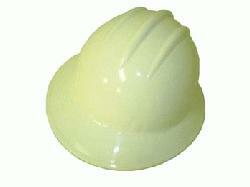 All Classic hats and caps conform to ANSI Z89.1-2003, Type I, Class E and G for Industrial Head Protection.